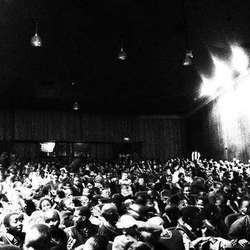 The Hillbrow Theatre (formerly the Andre Huguenot Theatre) offers after-school performance arts programmes to children and youth who live in Hillbrow or attend schools in Hillbrow and the inner city of Johannesburg. 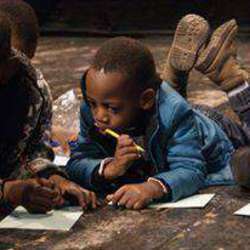 Performance training gives children confidence and builds the skills of public speaking, voice and acting. Play is the work of children, and through play, acting and singing, children work through issues that they have to face on a daily basis. 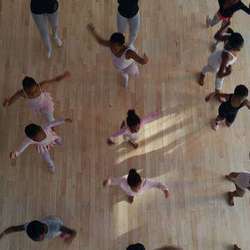 Drama demands empathy for different personalities, cultures, religions and ways of living, and allows children to learn and practice the skills of self-discipline, communication, tolerance and mutual respect. 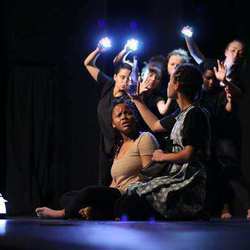 The Hillbrow Theatre Project facilitators run drama workshops at inner city schools with groups of learners between the ages of 12 and 19 years. Also, there are two open drama classes which are conducted in the afternoons and on Saturday mornings at the theatre. - To enrich their lives. 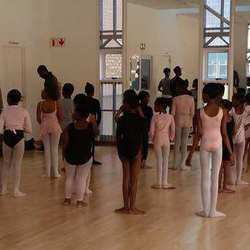 - Acting as a conduit between different inner city schools and community-based organisations within the inner city and beyond and building bridges to further enrich the lives of children and youth who attend our project. Our work relies on your help. Please support any project of your choice, by transferring money to the following account. If you want to donate to a specific project (Boitumelo, Computer, Theatre, Music, Youth, Counselling, Kid's week or general) remember to refer to it on the transaction form. If you donate more than R5000 at once or within twelve month you will be invited to a charity dinner in Johannesburg.